Plus, get FREE Plush Ballet Slipper with Fair Isle Print with any purchase. Shipping is $7.99 or free shipping on orders over $60. Deb Shops offers Up to 70% off Select Women's Clearance Apparel,Shoes,and Accessories,as low as 50 cents. Shipping fee is $7.99, or free shipping on orders over $60. Deb Shops offers 30% Off Entire Site. Discount Price show on product page. Today only, Deb Shops offers 30% off Sitewide. 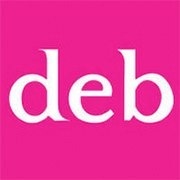 Deb Shops offers 30% off entire site. Today Only (9/25), Deb Shops offers 40% off all tops. Deb Shops offers a $10 Off on orders over $40, no code needed. Today only (Jul 25), Deb Shops offers 25% off entire site, no code needed.